Our Breakfast Combo's are the best way to start your day. Come in and grab a quick take-away while you're on your morning commute. Unlike traditional breakfast eats we leave you with a simple no-mess on the go snack. 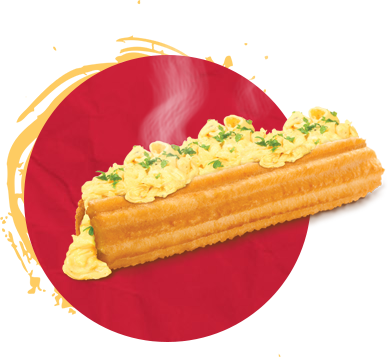 Our Brekky Churro is a delicious combination of a golden crispy churro stuffed with fresh scrambled eggs it's the perfect pick me up on the way to work. 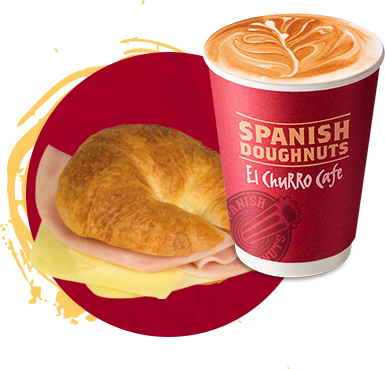 Grab a take-away El Churro coffee with a Brekky Churro - it's the perfect combination. The Churro Loop is the ultimate take-away snack. 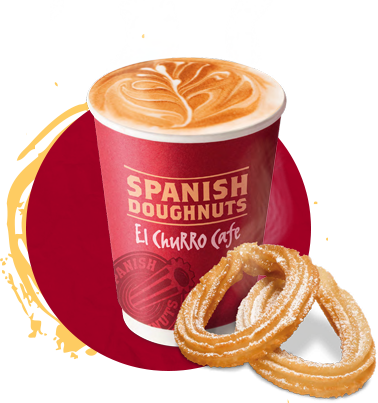 Includes a regular Coffee or Tea with two freshly cooked Churro Loops. Unlike traditional on-the-run snacks our loop doughnuts will be sure to not leave a mess on the way. After something quick and easy - Grab a Toasted Croissant combo. Made with fresh ham and cheese and toasted in minutes. Comes with a regular take-away coffee.